Big Tobacco, Big Sugar, and technology may be targeting the well-being of young people faster than regulators can prevent them from heading back to the future in a bad way: Teens getting hooked on nicotine, while tots take in excess calories with super sweet breakfast cereals. 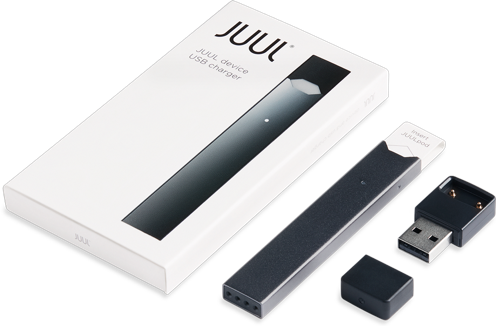 The Wall Street Journal and the New York Times each have big take-outs, reporting on the “explosive” and “epidemic” trend, mostly by more affluent teens, of vaping with so-called e-cigarettes, notably a hot new device called the Juul. It’s about the size of a computer flash drive, and it uses fruity-flavored liquids to deliver a jolt of nicotine — more than what users might get by puffing a pack of old-fashioned cigarettes. E-cigarettes aren’t new, and the Juul isn’t, either. But it suddenly has captured a big share of the market and become a raging teen fad, the harmful fidget spinner of the moment at much higher cost ($50 for a starter kit), and it’s scaring and frustrating schools and public health officials. Some New Jersey educators are forcing teens caught “Juul-ing” to undergo drug tests, because the device also can be used to vape marijuana. Suburban Chicago schools are considering installing special vaping detectors in bathrooms, which teachers across the country have returned to patrolling to prevent teens’ Juul abuse by crowds of boys or girls. Of course some teachers also say that students Juul in class, sneaking hits from the small and easily concealed devices. The only hint this is occurring comes not from a puff of exhaled smoke but a blast of fruity aroma surrounding a student user. Youths quoted by the newspapers defend their new habit, saying they aren’t violating laws or policies that ban cigarette smoking. The huge challenge, though, is that young people also don’t get that vaping may addict them to nicotine, leading to their abuse of cigarettes with proven and big harms. The scientific jury’s also out as to whether the liquids that carry the nicotine also contain harmful substances or cause health woes when fired up in vaping devices. The rampant nicotine consumption by kids is occurring even as Scott Gottlieb, the federal Food and Drug Administration commissioner, has campaigned to slash the addictive chemical in cigarettes — a move he says will help smokers better kick their nasty habit and help curb one of the nation’s leading causes of preventable illness and death. This will take time to accomplish, with potentially years of back-and-forth over regulations and possibly Big Tobacco lawsuits. Gottlieb also has announced that the FDA will battle the industry’s use of menthol and other flavorings to lure in smokers. These twin initiatives would seem to point to strong FDA action on e-cigarettes and vaping. But, to the anger of anti-smoking advocates, the agency under Gottlieb has dawdled. The agency had said under the Obama Administration that e-cigarette regulations or the official start of them were imminent. FDA, instead, has given Big Tobacco and other vaping proponents time to contest or exempt themselves from regulation. A coalition of health advocacy groups has gotten fed up enough that they have sued the FDA in a federal court in Maryland, seeking to force regulators to act on vaping and e-cigarettes. The plaintiffs include the American Academy of Pediatrics, American Cancer Society Cancer Action Network, American Heart Association, American Lung Association, Campaign for Tobacco-Free Kids and Truth Initiative, as well as several individual pediatricians. In my practice, I see not only the major harms that patients suffer while seeking medical services but also the health havoc that can be wreaked on them by smoking and nicotine addiction. The FDA recently reported that tobacco use, mostly cigarette smoking, kills roughly 480,000 Americans annually and costs the nation almost $300 billion in direct medical costs and lost productivity. Smokers put themselves in harm’s way for various forms of cancer, as well as an array of heart and lung conditions. It makes no sense for the agency to talk tough about nicotine, smoke flavorings, and getting Americans unhooked from Big Tobacco — but then to drag its feet on letting kids get hooked by vaping and its faddish devices and products. This rise in vaping and e-cigarettes also is problematic because the nation has been making strides in cutting smoking and tobacco use by teens. It can be rough getting through to young folks about the damages of things fashionable, but maybe a cross-generational reach might work: Maybe their grandparents — specifically their grandmothers — and older aunts and uncles may be able to warn teens about the insidious actions of Big Tobacco. It’s even more key, of course, to never start smoking — and studies increasingly point to vaping as a gateway abuse. For those afflicted with COPD and other chronic and increasingly debilitating illnesses, weight gain, overweight, and obesity — due to medications and incapacity to move and exercise — also can be big and bad complications. But these also may be morbidities that start early and on their own, separate and aside. That, meantime, is another reason to be upset with federal regulators for their seeming whiff for now at the moves by Big Sugar to revive sugary breakfast cereals, products targeted at kids and families. Sales of these products dipped by 11 percent to $9 billion annually as consumers defected to Greek-style yogurts and breakfast bars with higher protein, less fat and calories — and far lower levels of sugar and other sweeteners. Big Cereal and Big Sugar have decided to fire back, returning with cereals laden with sugar, sweeteners, and chock full of other artificial flavors and colorings. Kids’ advocates fought long and hard and had made some headway in getting Big Sugar and Big Food to lay off youngsters, if even a little, so that targeted advertising, marketing, and food products wouldn’t harm children’s health by contributing to skyrocketing obesity rates. Again, FDA Commissioner Gottlieb has talked the talk about how Uncle Sam can step up to help Americans eat better and more nutritiously. But where’s the beef?